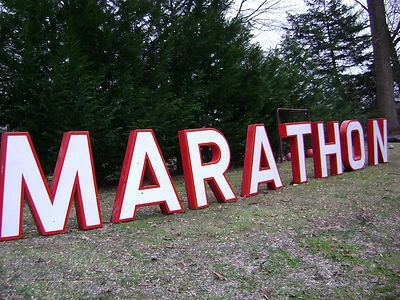 These letters for Marathon are huge. The porcelain letters are red and white and spell out Marathon. These would have been individually hung on the side of a store.